Ships tomorrow if you order in the next 22 hours 27 minutes. An important part of staying healthy is promoting your intestinal flora. These organisms help defend your body against "bad" bacteria, viruses, yeast and other dangerous invaders. Probiotic supplements provide blends of beneficial bacteria and yeast that can be ingested in order to recolonize the walls of the intestine, where it may be lacking. Body Ecology offers a natural probiotic supplement called CocoBiotic that supports intestinal microflora. This supplement contains no artificial colors, flavors or preservatives, GMOs, dairy, soy or gluten. 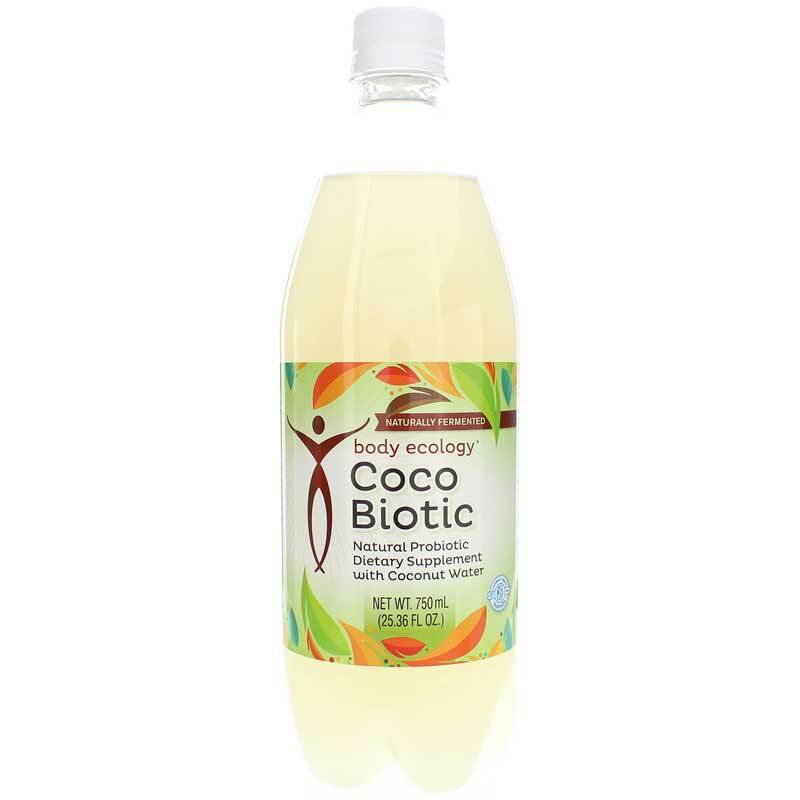 If you're looking for a natural probiotic supplement that you can drink, check into Body Ecology's CocoBiotic. Order online today! Other Ingredients: filtered water, young coconut juice, mung beans, brown rice, chick peas, red lentils, linseed, alfalfa seed, millet, quinoa. 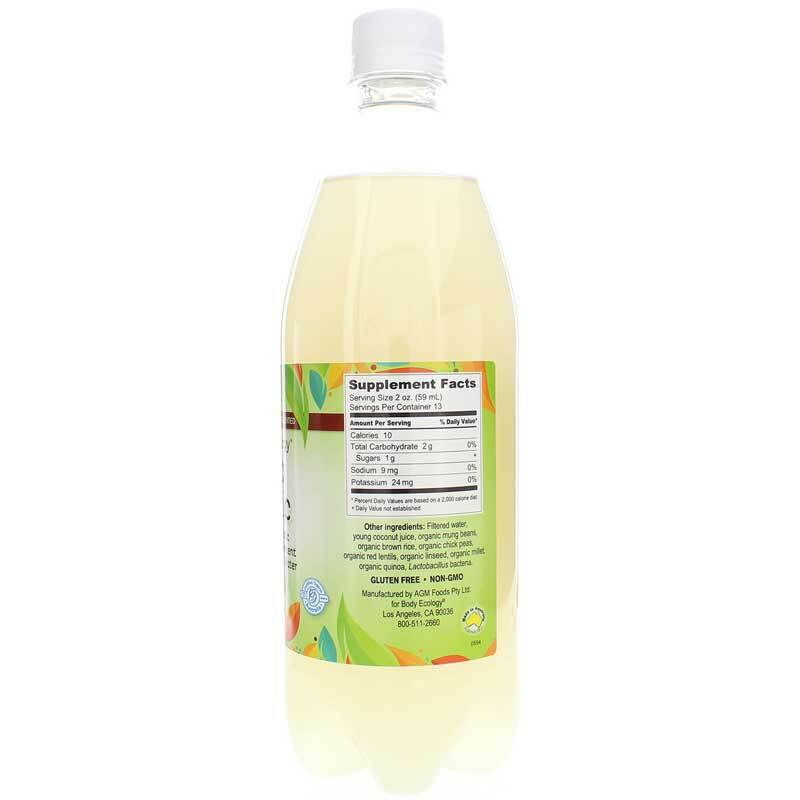 Contains NO: gluten, GMOs, dairy, soy, artificial colorings, flavorings or preservatives. Adults: Chill bottle before opening and then slowly release the cap. To use a as a probiotic, take several ounces per day. 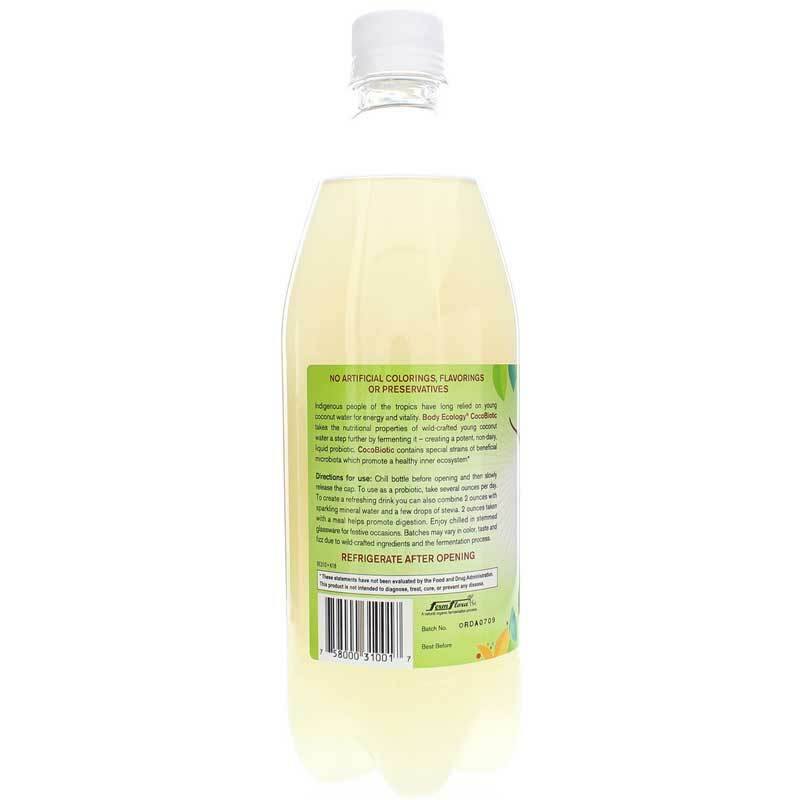 To create a refreshing drink, you can also combine 2 ounces with sparking mineral water and a few drops of stevia. 2 ounces taken with a meal provides billions of beneficial bacteria that help promote digestion. Enjoy chilled in stemmed glassware for festive occasions. Batches may vary in color, taste and fizz due to wild-crafted ingredients and the fermentation process. Refrigerate after opening. I am very happy with the Cocoa Biotic. Wouldn't be without it!! The Coco Biotic drink has helped me. I wouldn't be without it.